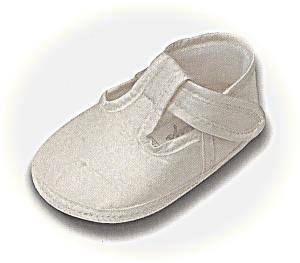 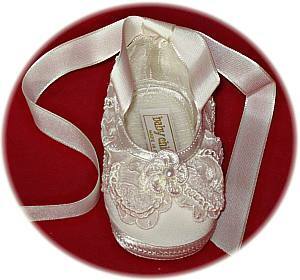 Exquisite little christening slippers from Italy ! 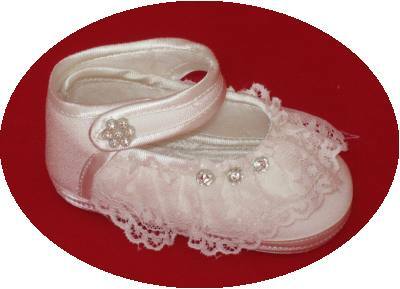 These beautiful christening shoes are made from ivory pure silk, trimmed with Italian lace and decorated with three “diamonds”. 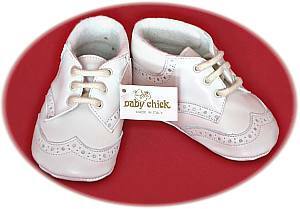 The front strap is fastened with velco and embellished with a “diamond” flower.